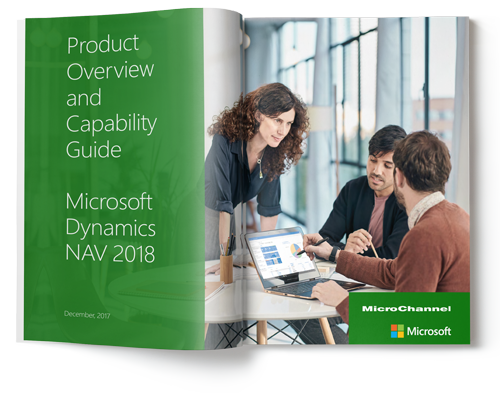 Microsoft Dynamics NAV (formerly Navision) is a quick to implement, easy to use and highly customisable Enterprise Resource Planning (ERP) software that is capable of adapting to your business growth. The solution provides businesses with the power to support your growth with integrated business functions including but not limited to financials, supply chain, manufacturing, distribution, service management, warehouse management and operations. Increase productivity by connecting and automating key business functions and processes. Make processes more efficient and transparent. Gain complete visibility into your business for better decision making. Adapt quickly to your changing business environment. Microsoft Dynamics NAV’s financial management functionalities include cash flow forecasting, cash management, bank reconciliation, fixed asset management, budgeting and more. 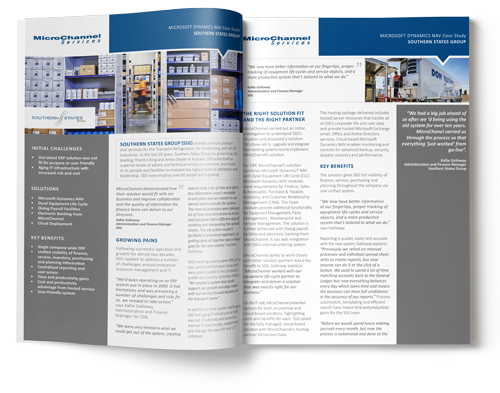 The supply chain covers end-to-end processes include inventory management, warehouse management and logistics. The manufacturing and operations function helps to manage production orders and output time. Manage sales and after sales service with the customer relationship management software. Manage your contacts, sales opportunities and service contracts. Manage your projects with Microsoft Dynamics NAV by creating estimates, track projects and manage capacity. Southern States Group (SSG) is a professional, dynamic and cutting edge organisation dedicated to providing products and services to transport refrigeration, air refrigeration, rail air conditioning and tail rift industries. SSG implemented the Microsoft Dynamics NAV for a unified visibility of finance, service, inventory, purchasing and planning information to facilitate better decision making.